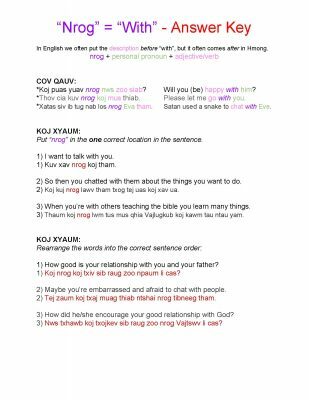 Blog How to use the Hmong word "nrog" in this fun and easy worksheet!! 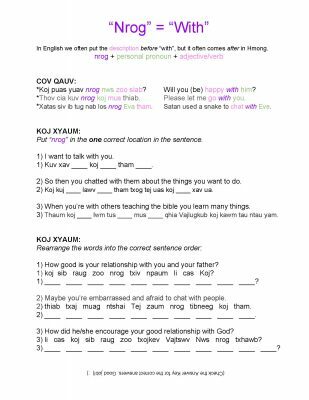 How to use the Hmong word “nrog” in this fun and easy worksheet!! Trying to figure out how to use the Hmong word “nrog” when you’re out in service or talking with your friends? Well, have no fear, a worksheet is here!! !